My Summer Cottage in Babylon: I totally missed it. 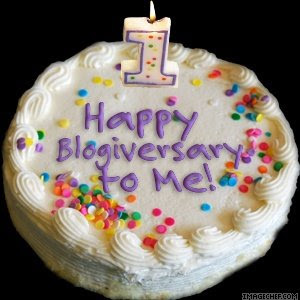 So, yesterday was my one year Blogiversary. I was completely oblivious to it. I just want to let you all know that I really do appreciate your readership. I still think the people at Sitemeter are just punking me every time I check the stats. Thanks for sticking with me even when I don't have anything interesting to say. Here's to another year of inappropriateness and ranting! I'm glad you're all along for the ride. *And at the risk of sounding completely narcissistic (which you already know I am), I'm thinking about compiling a "best of" list on the sidebar. So, if you have a favorite post from the past year, let me know in the comments. Danke. I bet there's a chip in her brain. Things you want to know. Maybe. Yes, the kids are still alive. Taking care of business *Edited*. People, what am I going to do? People who are less talented than I. You're supposed to be thinking about Jesus. Proof that clothes can make or break you. I guarantee you a man invented this.